Larkspur hit 20 reviews over on Amazon.com, with 21 ratings on Goodreads, and a few reviews here and there on other country amazon sites. It’s really awesome to be getting so much positive attention, I hope I can keep it up. Delphinium will come out on Wednesday even if I don’t sleep between now and hitting Publish. After that I’m going to start planning-in-detail book 3, Consolida, and a prequel novel with Ophion named Famula. 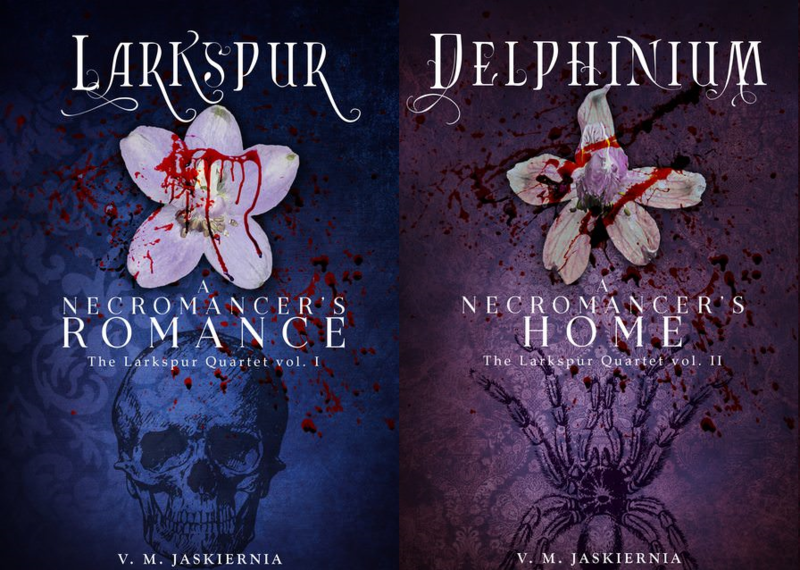 Books 1-3 will be packaged together as a ‘bouquet,’ (can’t tell if a naming theme is silly or helpful) though the Larkspur series is planned to have 6 books. 4-6 will be grouped together as well, and a great omnibus 1-6 should complete that series. There will be more books and series in Clandestina, though, so if you love this realm don’t worry. Oh, if you haven’t yet, come over and join the release party for Delphinium on facebook: https://www.facebook.com/events/1492874244262537/ It’ll start at 7pm, hopefully by that hour Amazon will have made Delphinium live. As far as other realms, I still need to work out what I’m going to be writing alongside Clandestina’s books. I have a lot of characters and stories, and a change in pace is nice. I’m leaning towards Nightmares, though perhaps the next set will involve the werewolves. Ideally I’d be writing like a madwoman, with several series on the go for everyone’s favourite to get quick releases.